Every member has a story. This section began in the early days of The Resource and we are looking for writers to help us tell our members stories. Please contact Lynette Pitt to volunteer to help write a member profile. In the November edition of The Resource, we noted that 13 past or current members of the NCADA have served as president of the NC State Bar. But, as a few of you noted, we were wrong! The actual number of members who have served as president of the Bar is 15. Way to go, NCADA Members! A Profile of James D. Blount, Jr. In his 60 years of practice, James D. Blount, Jr. has earned a reputation as a formidable trial attorney. A partner in the Raleigh firm Smith, Anderson, Blount, Dorsett, Mitchell & Jernigan, Blount is one of the senior lions of the defense bar. 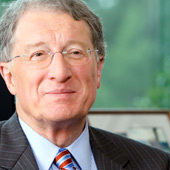 He has been inducted into the North Carolina Bar Association General Practice Hall of Fame. A charter member of the NCADA, Blount received the NCADA’s Award for Professional Excellence in 2005. In 2008, he received a lifetime achievement award from the Eastern North Carolina Chapter of the American Board of Trial Advocates. Blount remains in active practice. He has taken on a senior role at Smith Anderson, where he continues to practice in the firm’s medical malpractice group. The experience and knowledge he has gained during his career as a trial lawyer and a litigator—he has served as lead counsel in more than 300 civil jury trials—continues to be sought after by his partners, many of whom count him as a key mentor. As esteemed as Blount is for what he has done in the courtroom, Blount is best known for how he went about it. Over the years, the Wilson native developed a reputation for being scrupulously civil, if not downright polite. His persistent professionalism made him a leader in the trial bar and the North Carolina Bar Association. Blount said it also helped him be a more effective advocate. A trial lawyer, he says, “does not have to be obstreperous.” He firmly believes that it is more pleasant, more fun, and more productive when parties and counsel conduct themselves in a civil, professional matter. It’s one of the many lessons that Blount, 85, has learned during his legal career. Over his career, Blount has watched the legal profession change in innumerable ways. Technology has completely changed the law office. The “billable hour” has fundamentally altered the way law firms like Smith Anderson operate. And, Blount says, the professionalism and courtesy that should be hard-wired into legal professionals has eroded. Blount loves being a trial lawyer and a litigator, and still pines to be in the courtroom preparing for trial. 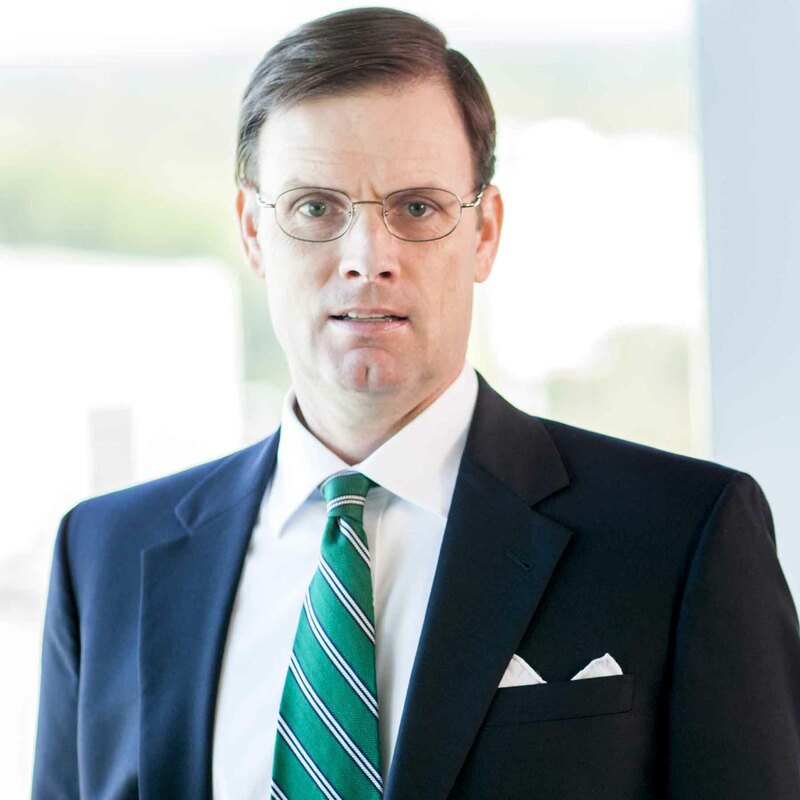 As much as Blount loves being what he calls a “real lawyer,” he came very close in his 40s to focusing his practice on corporate law and tax matters. Blount was pulled into a full-time trial practice by tragedy. On Saturday, December 4, 1971, one of Blount’s partners, Willis Smith Jr., was killed in a plane crash at the Raleigh-Durham Airport. Blount inherited 144 of Smith’s cases. “I went out of the office on a Friday afternoon and came back on a Monday morning with 144 cases I had never seen before,” Blount said. From that moment on, Blount was a trial lawyer. “It changed my life completely,” he said. The task of getting to know 144 cases all at once was potentially overwhelming. Rather than get dragged down by the work, Blount seized the opportunity both for himself and the firm. He immersed himself in the cases, carrying files with him everywhere. He gave up golf because he no longer had time for it. In the process, Blount not only cemented himself as a trial lawyer, he also showed himself to be a steady leader. As a trial lawyer, Blount has learned to greet the unexpected with confidence and humor. Because you never know what is going to happen next. Decades ago, Blount was defending a car accident case that had gone to the jury. As they waited, Blount and the plaintiff’s counsel tried to negotiate a settlement. In the middle of the negotiations, the jury sent a note to the judge with a question: Could they award the plaintiff more that what he had asked for? The plaintiff, convinced he was about to get the verdict he wanted, cut off settlement talks and waited for the jury to return. When the jury did come back, though, it delivered a defense verdict. The judge was surprised. The plaintiff was shocked. Blount was stunned. But what about the note? As it turned out, the jurors had never intended to award damages to the plaintiff. Their question had been a hypothetical one, borne of curiosity about the limits of their authority. Four decades later, Blount still remembers the courtesies that plaintiffs’ counsel extended him when he inherited those 144 cases from Willis Smith. By his count, every single plaintiff’s attorney except for one agreed to grant him the extra time he needed to become familiar with each case. Blount first learned his velvet-gloved approach to competition from his high school football coach, who taught him to hit his opponents hard and then help them up. As he spent more time in the courtroom, he learned that civility also carried certain advantages with a jury. Of course, there are some aspects of Blount’s approach that are probably more innate than cultivated. It can be tough, for instance, for other practitioners to adopt Blount’s consistent willingness to try to like all the lawyers he works with and against. “The worst thing I’ve heard him say about another lawyer is, ‘That fellow is hard to like,’” said Thompson. Blount began practicing law in 1952, and therefore spent years trying cases without any discovery. The experience taught him to try cases by the seat of his pants. It also informs his strong belief that most successful litigators are those who know what they need, and tailor their discovery requests accordingly. Blount says that litigators should learn to focus on details necessary to go to trial, and avoid the blanket discovery requests that end up requiring parties to focus “on a lot of irrelevant material they do not need.” Having the discipline to focus on what you need to prevail, Blount said, can be the difference between a positive outcome and a negative outcome at trial. “I’ve seen more cases lost by poor, lengthy, uncontrolled cross examination than too little examination,” Blount said. It is no accident that Blount is still coming to work every day, long after many of his contemporaries have retired their shingle. Blount enjoys being a lawyer and coming into the office. The Battle Winslow Scott & Wiley, P.A. law firm of Rocky Mount celebrated 100 years of service in October 2011. Kemp Battle and Frank Winslow founded the firm in 1911 strongly committed to excellence in the legal profession and the highest level of community service. There are currently 16 attorneys in the full-service firm who look forward to providing another 100 years of legal and community service. Of the 16 attorneys, five are current members of the NCADA: Greg Crumpler, Marshall Gallop, Katherine Fisher, Dee Whitley and Sam Woodley. Brian Scott, Of Counsel with the firm, is a charter member of the NCADA which was founded in 1977. Sam Woodley served as president of the NCADA from 1997-1998 and was awarded the J. Robert Elster Award for Professional Excellence in 2009.